Collingwood Toyota is dedicated to offering specials to our parts and service customers. We understand how important your vehicle is and want to help you keep it in great condition at an affordable price. 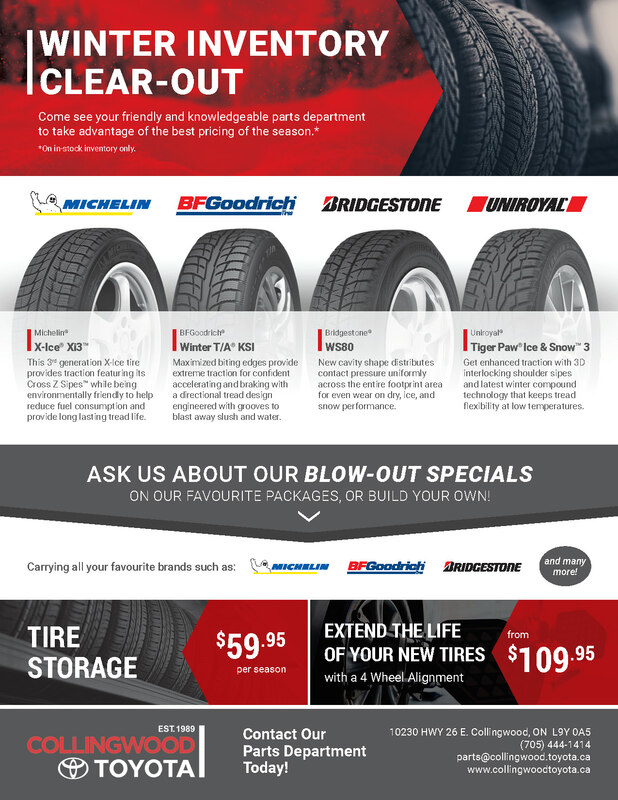 If one of our offers below is of interest to you, please schedule service with us today!